Patricia Louise Rochon, known affectionately as ‘ Patti ‘, passed peacefully at her home, in Napa, surrounded by her family. She was 74 years of age. 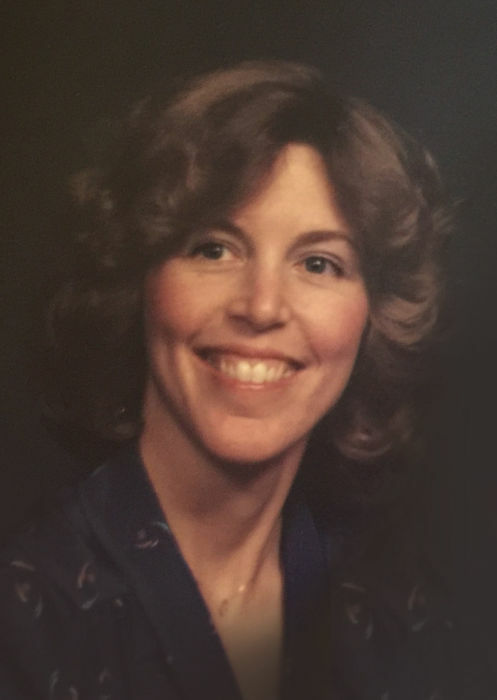 Patti is survived by her husband, Leonard Rochon, her son Matthew, her daughter Noele, her two Grandsons, Grady and Oliver, and her brother Larry Ahlswede. Patti worked for Wells Fargo Bank for 16 years finishing as a Regional Audit Manager. She married Len on Oct. 11th, 1980 and they settled in Napa. She continued work with the Napa Valley Bank and then moved on to the Napa Valley Unified School District as a Bilingual Aide and retired after 20 years, as the District’s Language Assessment Assistant. Services will be held at St Mary’s Episcopal Church, 1917 Third Street, Napa, CA at 10:00am on Wednesday, Sept. 12th. A Celebration of Life reception will be held at the Tulocay Cemetery, at the reception center, after the service. Memories and notes of sympathy may be shared at the Tulocay Cemetery Reception Center. The family would like to extend their heart felt gratitude to Patti’s friends and neighbors for their many kindnesses, as well as the staff at the Napa Valley Cancer Center, the Progressive Care staff at the Queen of the Valley Hospital, and Dr. John Dermody and Dr. Ari Umutyan.